Olivier Asselin is a unique director. His extensive knowledge of Art and Culture brings much richness and poetry to the film. The story evolves around Europe and America after world war I.We revisit the 20’s and 30’s, between New York City and Paris. 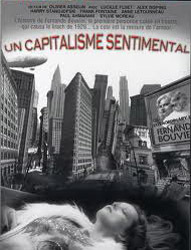 A reflexion on Art and Capitalism, among the special moments, the 1929 Stock Market crash through the eyes of Fernande Bouvier, a naive French painter. Paris and NYC, the 30’s, Paris that is more in the past and NYC that is more into industrialisation. The industrial, rythmic, steam engines, metal clangs and squeaks defined NYC in terms of sound while Paris was still in a pre-industrial era.